For over 30 years Plas y Brenin has taken to the Scottish Highlands in winter. Find out why, with the right guidance, Scotland in winter is an incredible destination for challenge, learning, and ultimately, reward. From the first touch of snow in the late autumn, lovers of the outdoors across the UK turn their eyes northward. Scotland’s mountains are waiting, and the feeling of excitement at the new worlds that await there is mixed with trepidation. Will I be fit enough? Will I be skilled enough? However, modern equipment and techniques have made it possible to have an enjoyable and fulfilling experience out in the winter, without feeling like you are risking life and limb in the process. With the right kit and the right guidance, the beauty of Scotland’s secret places can be open to all. Many find the prospect of a winter in Scotland intimidating. When first encountering images of Ben Nevis or Ben Macdui in full aspect, they write off an expedition there as something for the professionals, out of the realm of the ‘mere enthusiast’. Gaps in confidence, the need of technical equipment, or the jump in scale, means that a lifelong pledge to make it up Scotland’s iconic peaks in winter is delayed for this year, and then the next, and then the next. It is of course necessary to be aware that the scale of the Scottish Mountains is generally quite different to those south of the border. When crossing over to the highlands, peaks that break the 1,100meter line become the relative norm, rather than a rare exception. With only 4 summits in the British Isles outside of Scotland that exceed 1000meters, it is easy to imagine it as another world entirely. It is important to remember that not all of Scotland’s mountains are on this scale. It is still possible to climb quite a few Munroes without pushing much further than an average hill day in the Lake District. If you pick your goals wisely, early success can provide valuable lessons and experience without being too fierce or frightening. Challenge and reward are scattered amongst the slopes and peaks. 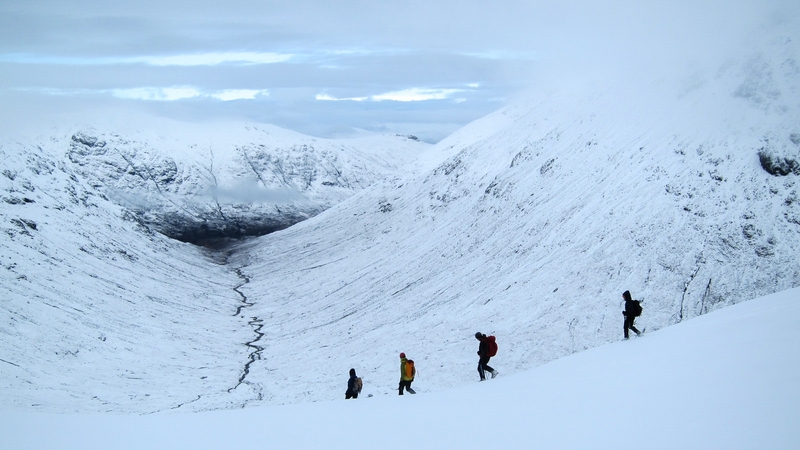 Scotland could be the place where your winter mountaineering confidence is made. A consideration for many is the hair-raising stories of avalanches which are not something commonly associated with winter walking in Wales or even the Lakes. Clearly this is a very important area of knowledge to consider, and one where some form of mentorship or instruction from an experienced professional can prove essential. Like in any discipline, confidence can be found in any circumstance, with the right training and guidance. Plas y Brenin has long seen the Scottish Winter Highlands as the perfect arena for practice in all levels of mountaineering – from hillwalking beginner to advanced winter climber. Whatever level, there will be something for you, which is why we have based ourselves out of Scotland in the height of winter for over 30 years. 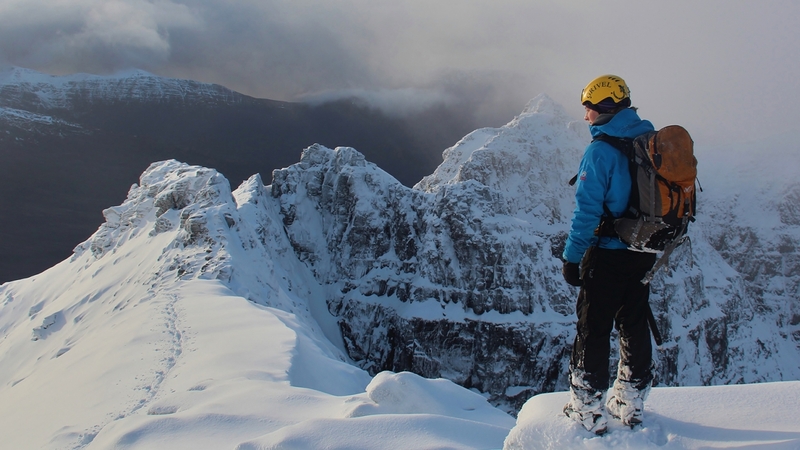 If you’re looking for an introduction to the giants of the north, you’ll be safe in our hands; all of our instructors hold the Mountaineering Instructor Certificate, the gold-standard qualification for winter mountaineering and climbing in the UK.